All products sold on TexasSuperFood.com are sold by N.P.N. Group, LLC, a provider of dietary supplements. We are committed to the highest ideals and providing you with excellent service and quality products. The websites TexasSuperFood.com are owned and operated by N.P.N. Group, LLC, who maintains this Site for your personal information, education and communication. PLEASE READ THESE TERMS AND CONDITIONS OF USE CAREFULLY BEFORE USING THIS SITE. By using, visiting, or browsing the Site, you accept, without limitation or qualification, these Terms and Conditions. If you do not agree to these Terms and Conditions, please do not use our services, purchase our products or visit our site. The information on this website and in emails originating from the N.P.N. Group, LLC are designed for educational purposes only. Informational material has not been evaluated or approved by the Food and Drug Administration (FDA). It is not intended to be a substitute for informed medical advice or care. You should not use this information to diagnose or treat any health problem or illness without consulting your doctor. In accordance with FTC guidelines, we want to make it explicitly clear that the customer testimonials we have received are based on the unique experiences and circumstances of a few people only. We cannot promise that you will experience similar benefits from using our products. The generally expected of any product supplied by our company, in regards to any specific disease has not be scientifically validated and we cannot and will not make any promises in regards to any cures. Consumers should always read the label before ingesting a purchased product. The material contained on our websites are only for use in the United States of America and should only be evaluated as such. In the access or use of the Site, you shall comply with the Terms and Conditions and the special warnings or instructions for access or use posted on the Site. You shall act always in accordance with the law, custom and in good faith. You shall not make any change or alteration to the Site or any Content or services that may appear on this Site and shall not impair in any way the functioning or operation of the Site. 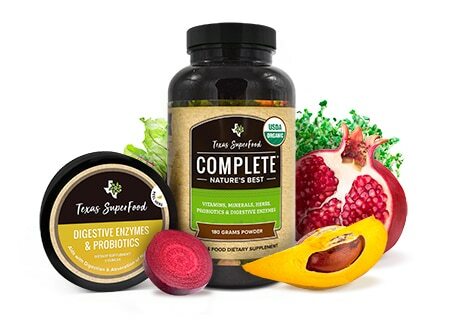 Without limiting any other provision contained in these Terms and Conditions, if you default negligently or willfully in any of the obligations set forth in these Terms and Conditions, you shall be liable for all losses and damages that this may cause to TexasSuperFood.com, N.P.N. Group, LLC, our affiliates, partners or licensors. You agree to defend, indemnify and hold us harmless for any loss, damages or costs, including reasonable attorney’s fees, resulting from any third party claim, action, or demand resulting from your use of the Site. You also agree to indemnify us for any loss, damages, or costs, including reasonable attorneys’ fees, resulting from your use of software robots, spiders, crawlers, or similar data gathering and extraction tools, or any other action you take that imposes interference with our computer software, hardware, or infrastructure. All content available on the Site, including but not limited to text, graphics, logos, buttons icons, images, audio clips, data compilations, and software is the property of N.P.N. Group, LLC, our affiliates, partners or licensors, and is protected by United States and international copyright laws. The trademarks, logos, and service marks displayed on the Site are the registered and unregistered marks of TexasSuperFood.com, our affiliates, partners or licensors, in the United States and other countries, and are protected by United States and international trademark laws. Except as appears in the “Limited Licenses” Section, or as required under applicable law, neither the Content or Trademarks nor any portion of the Site may be used, reproduced, duplicated, copied, sold, resold, accessed, modified, otherwise exploited, in whole or in part, without our prior written approval. You and N.P.N. Group, LLC agree that this arbitration agreement is made pursuant to a transaction involving interstate commerce and shall be governed by the Federal Arbitration Act (“FAA”), and not by any state law concerning arbitration; and that any dispute (as defined below) between us, including disputes by either of us against any agent, employee, subsidiary, affiliate, predecessor in interest, successor, or assign of the other, will be resolved exclusively and finally by binding arbitration, except for disputes arising from an alleged violation of intellectual property rights or breach of confidentiality, for which the injured party may suffer irreparable harm and may seek a restraining order, preliminary injunctive relief, an injunction, specific performance or other equitable relief and/or legal remedies, and actions to enforce the decisions of the arbitrators, for which action may be taken in any court of competent jurisdiction. Arbitration is a method of resolving disputes in front of one or more neutral persons, instead of having a trial in court in front of judge and/or jury. In this Arbitration Clause, “We” and “Us” mean Seller and/or Seller’s assignee (including, without limitation, N.P.N. Group, LLC) or their employees , assignees, or any third party providing any goods or services in connection with the origination, servicing and collection of amounts due under the Contract if such third party is named as a party between You and Us. “You” and “Your” means each Buyer named above. Your Right to Reject: if You don’t want this Arbitration Clause to apply, You may reject it by mailing Us at 1180 N. Mountain Springs Pkwy, Springville, UT 84663, a written rejection notice that describes the Contract and tells Us that You are rejecting this Arbitration Clause. A rejection notices only effective if it is signed by all buyers, co-buyers and cosigners and the envelope that the rejection notice is sent in has a post mark of 30 days or less after the date of this contract. If You reject this Arbitration Clause, that will not affect any other provision of this contract or the status of your Contract. If You don’t reject this Arbitration Clause, it will be effective as of the date of this Contract. A “Dispute” is any controversy or claim between You and Us arising out of or in any way related to this Contract, including, but not limited to, any default under this Contract, the collection of amounts due under this Contract, the purchase, sale, delivery, advertising for the product, or any product or service included in this Contract. “Dispute” shall have the broadest meaning possible, and includes contract claims, and claims based on tort, violations of laws, statutes, ordinances or regulations or any other legal or equitable theories. Notwithstanding the foregoing, “Dispute” does not include any individual action brought by You in small claims court or Your state’s equivalent court, unless such action is transferred, removed or appealed to a different court. In addition, “dispute” does not include disputes about the validity, enforceability, coverage or scope of this Arbitration Clause or any part thereof (including, without limitation, the Class Action Waiver described in the ninth paragraph of this Arbitration Clause; all such disputes are for a court and not an arbitrator to decide. However, any dispute or argument that concerns that validity or enforceability of the Contract as a whole is for the arbitrator, not a court, to decide. If a dispute raises, the complaining party shall give the other party written Dispute Notice and a reasonable opportunity, not less than 30 days, to resolve the Dispute. Any Dispute Notice to you will sent in writing to the address on this contract (or any updated address you subsequently provide to us). Any Dispute Notice to us must be sent by mail to: 1180 N. Mountain Springs Pkwy, Springville, UT 84663, (or any updated address we subsequently provide to you). Any Dispute Notice you sent must give your Account Number, telephone number and address. Any Dispute Notice must explain the nature of the Dispute and the relief that is demanded. The complaining party must reasonably cooperate in providing any information about the Dispute that the other party reasonably requests. Either You or We may require any Dispute to be arbitrated and may do so before or after a lawsuit has been started over the Dispute or with respect to other Dispute or counterclaims brought later in the lawsuit. If You or We elect to arbitrate a Dispute, this Arbitration Clause applies. A Dispute shall be fully resolved by binding arbitration. Judgement on the arbitration award may be entered in any court with jurisdiction. All statutes of limitation that otherwise would apply to an action brought in court will apply in arbitration. The arbitrator is authorized to award all the remedies permitted by the substantive law that would apply if the action were pending in court, including without limitation, punitive damages (which shall be governed by the Constitutional standards employed by the courts) and attorney’s fees and costs. If You or We elect to arbitrate a Dispute, neither You nor We will have the right to pursue that Dispute in court or have a jury resolve that dispute. In addition, if You or We elect to arbitrate a Dispute, (a) neither You nor We may participate in a class action in court or in a class wide arbitration, either as a plaintiff, defendant or class member; (b) neither You nor We may act as a private attorney general in court or in arbitration; (c) Disputes brought by or against You may not be joined or consolidated with Disputes brought by or against any other person; and (d) the arbitrator shall have no power or authority to conduct a class-wide arbitration, private attorneys, general arbitration or joined or consolidated arbitration (this sentence including subparts a through d hereof is referred to in this Arbitration Clause as the “Class Action Waiver”). In the event there is an agreement to arbitrate claims or disputes that conflict with this Arbitration Clause , whether such agreement is executed before, at the same time, or after this Arbitration Clause the terms of this Arbitration Clause shall control any and all Disputes between You and Us. If any provision of this Arbitration Clause other than the Class Action Waiver is invalid or unenforceable under the Federal Arbitration Act or any other applicable law, the invalid or unenforceable provision shall be inapplicable and deemed omitted, but shall not invalidate the rest of this Arbitration Clause, and shall not diminish the parties’ obligation to arbitrate Disputes subject to this Arbitration Clause. In the event that the Class Action Waiver is determined to be invalid or unenforceable, then, subject to the right to appeal such a ruling, his entire Arbitration Clause (except for this sentence) shall be null and void. Whoever first elects arbitration may choose to arbitrate under the rules and procedures of either JAMS or the American Arbitration Association; however in the event of a conflict between these rules and procedures and the provisions of this arbitration Clause, You and We agree that this Arbitration Clause governs for that specific conflict. You may obtain the rules and procedures, information on fees and costs (including waiver of the fees), and other materials, and may file a claim by contacting the organization of Your choice. The addresses and websites of the organizations are: JAMS, 1920 Main Street, Suite 300, Irvine, CA, 92614, www.jamsadr.com; and American Arbitration Association, 335 Madison Avenue, Floor 10, New York, New York 10017-4605, www.adr.org. If neither JAMS nor the American Arbitration Association is able or willing to serve, and You and We can’t otherwise agree on a substitute administrator or arbitrator, then a court with appropriate jurisdiction shall appoint an arbitrator. We will consider any good faith request You make to Us pay the administrator’s or arbitrator’s filling, administrative, hearing and/or other fees if You cannot obtain a waiver of such fees from the administrator and We will not seek or accept reimbursement of any such fees. We will bear the expense of our attorneys, experts and witnesses, except where applicable law and this Contract allow Us to recover attorneys’ fees and/or court costs in a collection action We bring. You will bear the expense of Your attorneys, experts and witnesses if We prevail in an arbitration. However, in arbitration You commence, We will pay your fees if You prevail or if We must bear such fees in order for this Arbitration Clause to be enforced. Also, We will bear any fees if applicable law requires Us to. The arbitrator may decide that an in-person hearing is unnecessary and that he or she can resolve the Dispute based on the papers submitted by You and Us and/or through a telephonic hearing. However, any arbitration hearing that You attend will take place at a location that is reasonably convenient to You. Notice of the time, date and location shall be provided to You and Us under the rules and procedures of the arbitration organization selected. The arbitrator’s decision is final and binding, except for any right of appeal provided by the Federal Arbitration Act. 9 U.S.C.§§1 et. Seq.(“FAA”). However, if the amount of the Dispute exceeds $ 50,000 or involves a request for injunctive or declaratory relief that could foreseeably involve a cost or benefit to either party exceeding $50,000, any party can appeal the award to a three-arbitrator panel administered by the Administrator, which panel shall reconsider any aspect of the initial award requested by the appealing party. The decision of the panel shall be by majority vote. Reference in this Arbitration Clause to “the arbitrator” shall mean the panel of arbitrators in an appeal of the arbitrator’s decision has been taken. The costs of such an appeal will be borne in accordance with the section of this Arbitration Clause that describes who will bear the costs for the initial proceeding before a single arbitrator. These Terms and conditions constitute the entire agreement between N.P.N. Group, LLC and You, and supersedes all prior or contemporaneous agreements, representations, warranties, and understandings with respect to the Site, the content, products, or services provided by or through the Site, and the subject matter of these terms and Conditions. Your use of our site after changes are made signifies your agreement and assent to be bound by the Terms and Conditions as they exist at that time. N.P.N. Group, LLC reserves the right, at its discretion, to change, modify, add, or remove portions of these terms at any time. You are bound by such revisions and should therefore periodically visit this page to determine the then current Terms and Conditions to which you are bound. Should you view TexasSuperFood.com and respond with information (excluding personal information) including questions, comments or suggestions regarding the content of our websites, such information shall be deemed to be non-confidential and N.P.N. Group, LLC shall have no obligation of any kind with respect to such information and shall be free to reproduce, use, disclose and distribute the information to others without limitation. Additionally, N.P.N. Group, LLC shall be free to use any ideas, concepts, know-how or techniques contained in such information for any purpose whatsoever including but not limited to developing, manufacturing and marketing products incorporating such information. This Web site may contain typographical errors or inaccuracies and may not be complete or current. TexasSuperFood.com may contain bulletin boards, chat rooms, comment areas, forums, calendars, and/or other message facilities designed to help you communicate with TexasSuperFood.com and the public at large. By using TexasSuperFood.com, you are agreeing to use communication facilities only to post, send, and receive messages proper and appropriate to the particular message facility. We are not responsible for the content of any off-website pages or any other websites linked to or from the Site. Links appearing on the Site are for convenience only and are not an endorsement by us. We are not responsible for examining or evaluating the offerings of, off-website pages or any other websites linked to or from the Site, nor do we assume any responsibility or liability for the actions, content, products, or services of such pages and websites, including their privacy policies and terms and conditions. 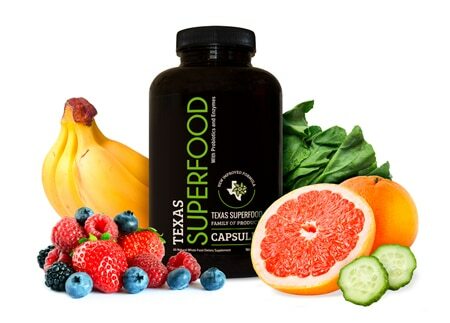 Under no circumstances will TexasSuperFood.com be liable to any person or business entity for any direct, indirect, special, incidental, consequential or other damages based on any use of these websites or any other website to which our aforementioned sites are linked. You acknowledge and agree that these Terms and Conditions constitute the complete and exclusive agreement between us and supersede and govern all prior proposals, agreements, or other communications.